(ENCINO, CA) -- Marcus & Millichap, which calls itself the nation's largest real estate investment firm, has scanned 30 multifamily markets in the U.S. and finds a sluggish first half for all of them. New York, NY -- Apartment inventory is expected to expand by 3,650 units this year after only 1,850 market-rate rentals were completed in 2009. Asking rents at the city's large market-rate properties are forecast to dip 1.5 percent to $2,647 per month this year. Effective rents will drop by 2.5 percent to $2,506 per month. In 2009, asking and effective rents fell 6.6 percent respectively. "Buyers holding out for fire-sale prices have begun to realize that distress will not be as substantial as anticipated," says Manhattan regional manager Edward M. Jordan. "As a result, sales velocity will rise from the minimal levels of 2009." Los Angeles, CA -- Following two years of deep employment contractions, employers are expected to expand payrolls minimally in Los Angeles County in 2010. Cuts will continue in the retail and construction sectors, however. This will push vacancy higher, particularly in the San Fernando Valley. Lingering high unemployment will continue to pressure owners to lower rents. Asking rents are expected to fall annually by 2.8 percent to $1.335 per month. Effective rents will slip 3.6 percent to $1.263 per month. "Investment activity in Los Angeles County gained momentum during the fourth quarter of last year, as buyers sought to acquire institutional grade assets that rarely change hands," says regional manager Stephen Stein. Indianapolis, IN -- Renter demand will strengthen in the second half of 2010. Vacancy will then improve but is still forecast to reach 9.2% this year, 20 basis points lower than in 2009, when the rate jumped 170 basis points. Asking rents are projected to end 2010 at $637 per month. Effective rents will reach $593 per month, annual declines of 1.8 percent and 2.5 percent respectively. Following the completion of about 1,460 units last year, deliveries are projected to ease to 370 units in 2010. "Elevated cap rates will maintain out-of-state investor interest," says Marcus & Millichap regional manager Joshua Caruana. Cincinnati, OH -- Job layoffs are continuing through the first quarter, delaying a recovery in apartment investor demand. About 560 apartments are expected to be added to inventory in 2010, down from 640 units in 2009. "Investment activity will remain conservative, though projections for increased buyer confidence may cause velocity to tick higher as the year progresses," says Caruana who also oversees operations at the firm's Indianapolis office. About 560 apartments are expected to be added to inventory in 2010, down from 640 units last year. Asking rents are forecast to slip 1.9 percent to $679 per month. Effective rents are project to decrease 2.3 percent to $635 per month. Asking and effective rents fell 2.5 percent and 3.3 percent respectively last year. Detroit, MI -- With construction financing scarce and few projects penciling out, only 120 apartment units are anticipated to come on line in 2010. Vacancy is forecast to rise 20 basis points to 7.9% by year end. "Distressed assets will dominate the local apartment investment landscape in 2010, though investment opportunities will vary by location, says regional manager Steven R. Chaben. With construction financing scarce and few projects penciling out, only 120 apartment units are anticipated to come online in 2010. Dallas, TX -- Although the Metroplex's economy has begun its recovery, apartment fundamentals will continue to deteriorate in 2010 due to oversupply concerns and affordable home prices. Development activity will remain robust as 7,800 units are delivered, expanding stock by 1.4%. Last year, 11,700 units were completed. "Local buyers will begin to place capital that has accumulated over the past two years, while out-of-state owners exit the market before cap rates rise further," says regional manager Tim Speck. Columbus, OH -- Despite budget shortfalls, government employments continues to provide stability in the Columbus economy. Developers are expected to complete 450 apartments this year, down from 1,250 units in 2009. "Apartment sales in the metro area will remain limited this year as local investors once again account for the bulk of activity," says regional manager Michael L. Glass. Developers are expected to complete 450 apartments this year, down from 1,250 units in 2009. Vacancy in 2010 will slip 10 basis points to 8.8 percent due to modest employment growth and reduced construction. Last year, vacancy increased 70 basis points. Cleveland, OH -- Concerns over the solidity of both the local economy and job market, especially the manufacturing sector, have kept development activity in check. Still, about 240 units will be delivered this year versus only 56 completed units in 2009. "The near-term outlook for the Cleveland investment market remains cautious, although a narrowing expectations gap between buyers and sellers could generate more activity this year," says regional manager Michael Glass who also oversees the firm's Columbus, OH office. After increasing 100 basis points last year, vacancy is forecast to push up 30 basis points to 7.3 percent in 2010. The rise is slowing as job cuts ease and development activity remains in check. Austin, TX -- A sharp reduction in development activity is expected in 2010 as 2,500 units come online, sharply below the 7,900 apartments delivered last year. "Many investors are expected to remain on the sidelines in the first half of the year as the impact of distressed assets on valuations materializes," says regional manager J. Michael Watson. Asking rents are forecast to rise 0.6 percent in 2010 to $849 per month. Effective rents will retreat 0.7 percent to $752 per month. "Three years of concession burn-off will be lost by year end," Watson says. Washington, DC -- The resumption of hiring in the Washington, DC metro market is expected to yield 35,000 new jobs in 2010, an increase of 1.2 percent. Last year, 24,000 positions were eliminated. Inventory this year will expand by near 4,750 units, or 1.2 percent after the completion of 5,700 units in 2009. "Transaction velocity in the DC apartment market will remain conservative this year, though an uptick in activity that began during the second half of 2009 is expected to accelerate," says regional manager David Feldman. Even the White House has declined in value, according to Seattle, WA-based Zillow.com. The estimated value of the 55,000-square-foot, 132-room residence for the President and his family is down from $308 million in 2009 to about $293 million today. During the eight-year term of George W. Bush, the White House was valued at $331 million. Tucson, AZ -- After 288 apartment units came online in 2009, no units are scheduled for completion this year. Vacancy is forecast to rise 20 basis points in 2010 to 12.7 percent, the highest rate in over two decades. Last year, vacancy increased 150 basis points, as heavy job losses weighed on demand. "Until apartment fundamentals stabilize, investment activity will center on lender-owned properties and assets in central locations," says regional manager David A. Guido. Seattle, WA -- Inventory growth will drive a 50 basis point rise in vacancy to 8.4 percent this year. Vacancy increased 210 basis points in 2009. Delivers are expected to deliver 2,600 apartments this year, down from 4,150 units last year. "The late arrival of the recession to Seattle has resulted in divergent investment strategies among local buyers," says regional manager Greg Wendelken. "Some investors are shifting their focus to markets with a shorter recovery horizon, while others continue to wait on the sidelines for discounted properties." Sacramento, CA -- Renter migration in shadow stock will continue to affect Sacramento apartment fundamentals in 2010, resulting in steep rent cuts, particularly in high-end units, according to the 2010 National Apartment Report by Marcus & Millichap. "After traditional apartment trading slowed to a trickle in 2009, an anticipated rise in REO offerings should help to boost sales activity this year, though non distressed-asset sales will remain tepid," says regional manager Robert B. Hicks. Completions are expected total fewer than 100 apartments this year. No units were delivered in 2009. Ontario, CA -- A glut of foreclosed single-family homes has flooded the market in recent years and investors have turned many of these properties into rentals. The local housing industry downturn will continue to upset the apartment supply -- demand balance in the Inland Empire this year, though operational performance will depend largely on location. "Inland Empire sales activity is expected to increase as distressed and REO listings become more prevalent," says regional manager Douglas J. McCauley. "A number of smaller bank-owned properties came to market late last year, attracting bargain -- seeking buyers." Portland, OR -- Completions this year will slow to just 480 units, down from 1,480 units last year. Following a 160 basis point climb in 2009, vacancy is project to rise 20 basis points this year to 7 percent. Asking rents are forecast to decline 3.5 percent to $775 per month. Effective rents will slip 4.6 percent to $692 per month. "Investment activity in the metro reached a low in 2009 but will pick up this year as buyers seek unique opportunities to reposition their portfolios," says regional manager Tony Cassie. Newport Beach, CA -- Apartment performance in Orange County should stabilize this year. A wave of completions and job losses in 2009 drove vacancy to historic highs and caused owners to slash rents to retain tenants. Following the delivery of 3,800 units in 2009, only 1,000 apartments are projected to come online this year. "Both the recession and decline in sales velocity started early in Orange County, and the market will likely be one of the first to register more normalized investment activity in 2010," says regional manager Joseph V. Cesta. New Haven, CT -- This year's slow rebound in hiring, particularly in the professional and business services and trade, transportation and utilities sectors will continue to dampen apartment fundamentals in southwestern Connecticut. Asking rents will decline 1.6 percent to $1,497 per month this year. Effective rents will dip 2.5 percent to $1.405 per month. In 2009, asking and effective rents fell 4.5 percent and 6.2 percent respectively. "Buyers will be most active in New Haven and lower Fairfield County due to their historically strong rental demand and large concentrations of employers," says regional manager Edward M. Jordan who also oversees his firm's Manhattan office. Minneapolis, MN -- Supported by its diverse employment bases, the Minneapolis-St. Paul economy is poised to be one of the first metros in the Midwest to emerge from the Recession. Developers are slated to complete nearly 480 apartment units this year, a 0.3 percent inventory expansion. In 2009, about 545 units came online. "Transaction velocity slowed in 2009, as few properties came to market and most buyers were waiting for significant foreclosure-driven discounts that failed to materialize," says regional manager Solomon Poretsky. 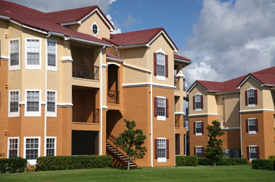 Orlando, FL -- In 2010, developers are expect to complete 600 units, expanding rental stock by 0.5 percent. Last year, 1,300 units were delivered. Multi-family permit issuance fell about 80 percent in 2009 to 700 units. The decline will suppress construction for the next several quarters. "Last year, sales activity in the market came to a standstill as tighter lending criteria and uncertainty over the direction of fundamentals weighed on investor and lender sentiment," says regional manager Richard Matricaria. However, he notes, "Activity is expected to pick up in 2010 as the economy and apartment fundamentals start to stabilize." San Francisco, CA -- Deep job losses and the challenged economy drove sharp rent cuts in San Francisco last year. Properties in Marin and San Mateo counties recorded similar declines. Weakness in the local employment base pushed vacancy higher through the San Francisco market. Asking rents are forecast to contract 3.3 percent to $1,699 per month this year. Effective rents are project to fall 3.5 percent to $1,598 per month. In 2009, asking and effective rents receded 9.2 percent and 9.4 percent respectively. "While a number of factors that restrained local investment activity last year persist, including tight lending standards and the pricing expectations gap between buyers and sellers, sales velocity should increase in 2010, says regional manager Jeffrey M. Mishkin. Oakland, CA -- Oakland apartment investments face major challenges in 2010. Deeply discounted home prices have narrowed the housing affordability gap sharply, luring renters into for-sale residences. Vacancy is forecast to rise 20 basis points to 7.2 percent. Reduced new construction will help to offset the effects of weak housing market conditions and additional job losses. Vacancy spiked 170 basis points in 2009. Asking rents are expected to slip 3.1 percent to $1,241 per month in 2010. Effective rents will drop 4.3 percent to $1,145 per month. "Sales velocity in the Oakland apartment market is anticipated to accelerate in 2010 as inventors continue to move off the sidelines, drawn by the most attractive pricing in years," says regional manager Jerry C. Smith. Elmwood Park, NJ -- Apartment demand will remain soft in 2010. Despite gradual economic improvements, just a fraction of the jobs lost in recent years will be reabsorbed this year. After 1,230 units were completed in 2009, rental inventory is projected to expand by 2,430 units this year. Asking rents are forecast to decline 1.7 percent to $1.247 per month. Effective rents will drop 2.5 percent to $1,170 per month. Asking rents dripped 3 percent in 2009; effective rents, declined 5.3 percent. "Sales activity ticked up statewide in the fourth quarter of 2009," says regional manager Michael J. Fasano. "Growing investor confidence and improving economic conditions are expected to boost deal flow in the coming quarters." Milwaukee, WI -- While apartment fundamentals in Milwaukee are expected to remain some of the healthiest in the Midwest, conditions in local Class C properties will weaken in 2010 as owners backfill vacant units. About 470 units are slated to come online in 2010, expanding inventory to 9.5 percent. Vacancy is forecast to reach 5.5 percent this year, up 30 basis points from 2009. Asking rents are expected to fall 2.4 percent to $784 per month. Effective rents will decrease 2.9 percent to $743 per month, returning concessions to 2004 levels. "Despite softening in 2009, conditions in the local apartment market have been sturdier than those in many Midwestern metros in recent years," says regional manager Matthew Fitzgerald. Jacksonville, FL -- The wave of construction completed over the past three years will continue to affect property fundamentals in the Jacksonville market. Developers added 2,000 units in 2009 but will slow production to 1,000 units this year. Supply growth and soft demand are expected to push up the vacancy rate 60 basis points in 2010 to14.5 percent. Vacancy jumped 170 basis points last year. Asking rents are forecast to fall 4.1 percent to $747 per month. Effective rents are projected to slip 5.3 percent to $693 per month. "Investment activity will pick up over the course of 2010 as buyers identify prospects and many owners either develop disposition strategies or seek to expand local portfolios," says regional manager Matthew Fitzgerald who also oversees the firm's Milwaukee office. Atlanta, GA -- Vacancy is expected to hit record levels this year, despite a considerable decline in multi-family development activity. The culprits are continuing demand by the unemployed sector and competition from shadow inventory. "Ongoing operational challenges in 2010 should create additional buying opportunities for Atlanta apartment investors," says regional manager John Leonard. "Rising vacancy and increased expenses will continue to mitigate cash flows and push more assets into distress, especially properties purchased at aggressive pro forma underwriting near the market peak." The average vacancy rate is projected to rise 30 basis points to 11.6 percent. Last year, vacancy increased 100 basis points. Boston, MA -- Demand-side fundamentals are expected to remain weak in 2010 as increased worker productivity in the manufacturing and professional and business services sectors will limit payroll expansion. Most new jobs will come from the education and health services industries. "Investment activity will pick up this year as seasoned investors re-enter the market in search of distressed properties and buy-and-hold investors target stabilized assets," says regional manager Gary R. Lucas. Vacancy is project to rise 20 basis points to 6.8 percent after increasing 60 basis points last year. Asking rents are expected to fall 3.1 percent to $1,619 per month. Effective rents are forecast to drop 3.4 percent to $,518 per month. In 2009, asking rents declined 4.1 percent; effective rents dropped 5 percent. West Palm Beach, FL -- Tepid rental housing demand pushed down asking and effective rents 4.3 percent and 5.8 percent respectively last year. 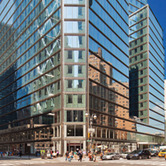 Steeper cuts are forecast in 2010 as owners strive to maintain occupancy. No new rental units were completed in Palm Beach county last year. In 2010, however, 400 units are expected to come online. After climbing 90 basis points in 2009, the vacancy rate in the county is forecast to rise 80 basis points this year to 9.6 percent. Asking rents are projected to decline 6 percent to $997 per month. Effective rents are forecast to recede 6.8 percent to $914 per month. "Identifying and established price trends will remain difficult in early 2010, as activity has fallen off considerable over the past 18 months," says regional manager Gregory Matus. Fort Lauderdale, FL -- The pace of layoffs started to diminish at the end of 2009 and will ease further this year, but vacancy is still expected to top 9 percent. Rents will drop for the second consecutive year. Minimal apartment construction will occur in the near term, with only 300 units expected to be completed this year. In 2009, there were 432 deliveries. Rental demand will remain weak. There will be an 80 basis point jump in the vacancy rate to 9.3 percent. Last year, vacancy spiked 160 basis points. Asking rents are project to drop 4.4 percent to $1,008 per month. Effective rents are forecast to slide 5.1 percent to $929 per month. 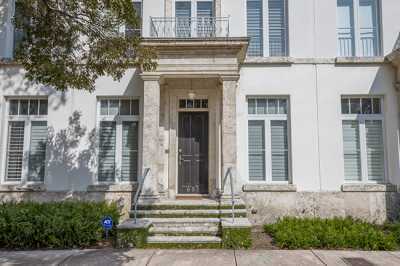 "In the investment arena, transaction volume steadied last year after several periods of steep declines," says regional manager Gregory Matus who also oversees the firm's the West Palm Beach office. 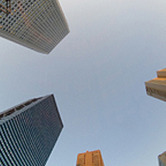 "Sales of a few lender-owned properties boosted activity. Additional financially distressed assets are expected to sell in the months ahead, as rising vacancy, declining rents and increasing concessions place further pressure on cash flows." Denver, CO -- Denver apartment fundamentals began to firm in late 2009, particularly Downtown and in the western suburbs. That set the stage for fairly healthy operating conditions throughout much of the metro this year. Payroll expansion this year should boost renter demand but deliveries will slow only slightly, putting upward pressure on vacancy. Completions will slow to 2,050 units, following delivery of about 2,550 apartments last year. Asking rents are expected to dip 1.2 percent to $843 per month. Effective rents will fall 2 percent to $745 per month. Last year, asking rents slipped 3.8 percent; effective rents dropped 3.9 percent. "Investor interest among large, private buyers, syndicates and institutions began to materialize in late 2009, a trend that will likely accelerate transaction velocity this year," says regional manager Michael Hoffman. Chicago, IL -- While employment in the Chicago metro is forecast to rebound this year, apartment operating fundamentals will remain soft, especially in the suburbs where pronounced payroll cuts have dragged on renter demand. "Investment activity will likely be driven by local buyers this year, particularly in the city where a number of assets have been discounted due to softened conditions and cap rates that have climbed into the mid-7 percent range," says regional manager Jonathan Przybyla. Developers are projected to complete 1,230 apartment units by year end, increasing stock by 0.3 percent. About 70 percent of the new units will be located in city suburbs. Driven by decreased renter demand in the suburbs, metro-wide vacancy is forecast to reach 7.3 percent, 30 basis points higher than at the close of 2009. Asking rents will end 2010 at $1,010 per month, down 2.2 percent from last year. Effective rents will drop 2.7 percent to $925 per month. 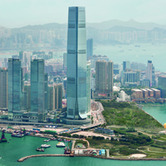 Global office markets will undergo a slow recovery, with several key markets poised to see growth continue through 2012 and 2013. 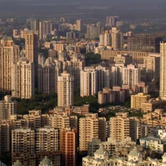 As India's economy shows signs of decreasing GDP growth rate, the Indian real estate industry faces its own share of concerns. Ashutosh Limaye, Head of Research & Real Estate Intelligence for Jones Lang LaSalle India tells World Property Channel that real estate developers are reeling under high debt and FDI inflows have also slowed down. According to the U.S. Census Bureau of the Department of Commerce, construction spending during October 2011 was estimated at a seasonally adjusted annual rate of $798.5 billion, 0.8 percent (±1.6%) above the revised September estimate of $792.1 billion. The October figure is 0.4 percent (±1.9%) below the October 2010 estimate of $802.0 billion. 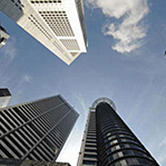 According to Jones Lang LaSalle's latest Global Capital Flows Report for the third quarter of 2011, four out of the top ten most traded direct real estate city markets globally in the third quarter of this year were in Asia Pacific. Hong Kong, Tokyo, Shanghai and Sydney and all made the top ten, compared to four cities in the Americas and two in Europe.